Love your rhubarb? Then you probably grow your own. If so, then you probably know that while the stalks are edible, the leaves are poisonous. So what happens if you put rhubarb leaves in compost piles? Is composting rhubarb leaves okay? Read on to find out if you can compost rhubarb leaves and if so, how to compost rhubarb leaves. Can You Compost Rhubarb Leaves? Rhubarb resides in the genus Rheum, in the family Polygonaceae and is an herbaceous perennial plant that grows from short, thick rhizomes. 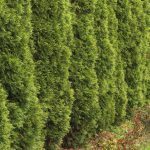 It is easily identified by its large, triangular leaves and long, fleshy petioles or stalks that are green at first, gradually turning a striking red in color. Rhubarb is actually a vegetable that is primarily grown and used as a fruit in pies, sauces and other desserts. Also referred to as the “Pie Plant,” rhubarb contains vitamin A, potassium and calcium – as much calcium as a glass of milk! It is also low in calories and fat, and is cholesterol free and high in fiber. 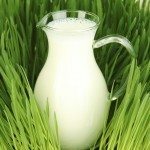 Nutritious it may be, but the leaves of the plant contain oxalic acid and are toxic. 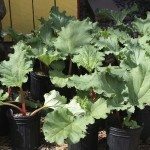 So is it okay to add rhubarb leaves into compost piles? Yes, composting rhubarb leaves is perfectly safe. Although the leaves contain significant oxalic acid, the acid is broken down and diluted fairly quickly during the decomposition process. In fact, even if your entire compost pile was made up of rhubarb leaves and stalks, the resulting compost will be much akin to any other compost. Of course, initially, prior to the microbial action of composting, rhubarb leaves in compost piles would still be toxic, so keep the pets and kids out. That said, I’m guessing that’s pretty much a rule of thumb anyway – keeping the kids and pets out of the compost that is. 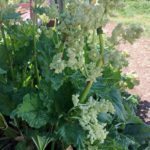 Once the rhubarb starts to break down into compost, however, there will be no adverse effects from utilizing it just as you would any other compost. Even if one of the kids got into it, ahem, they would suffer no ill effects except a scolding from Mom or Dad. So go ahead and add rhubarb leaves to the compost pile, just as you would any other yard debris.